Another bingo game for you all. 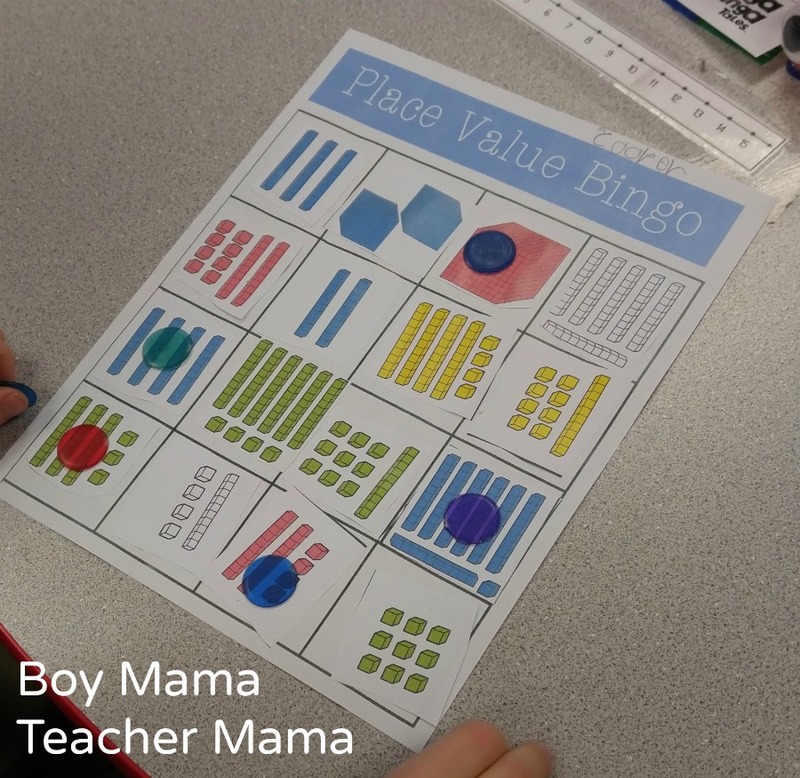 I love bingo games and I love to have students create their own boards. 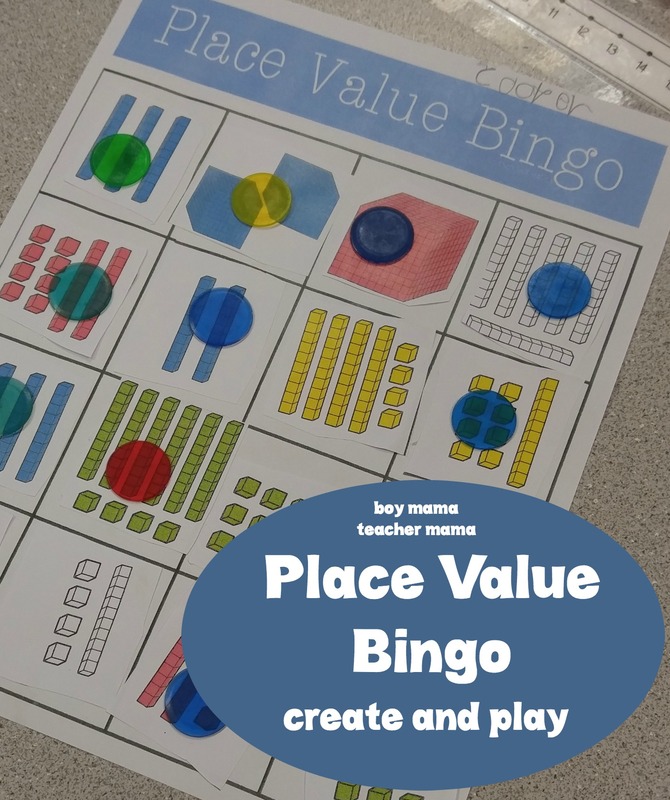 In this game, students create their own place value bingo board and then play for BINGO! 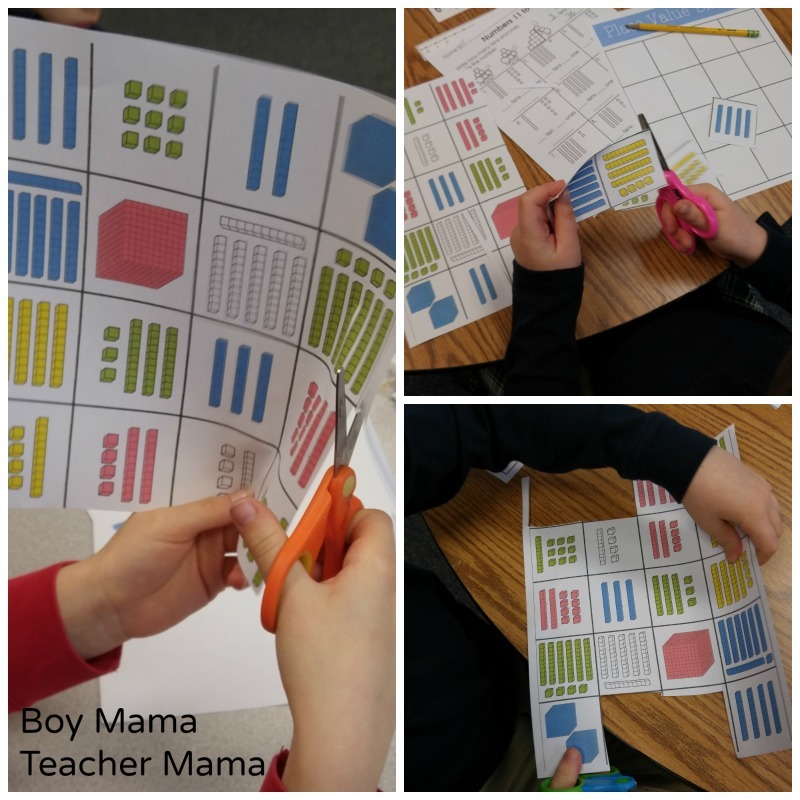 Print a game board (left), prep sheet (right) and cards. 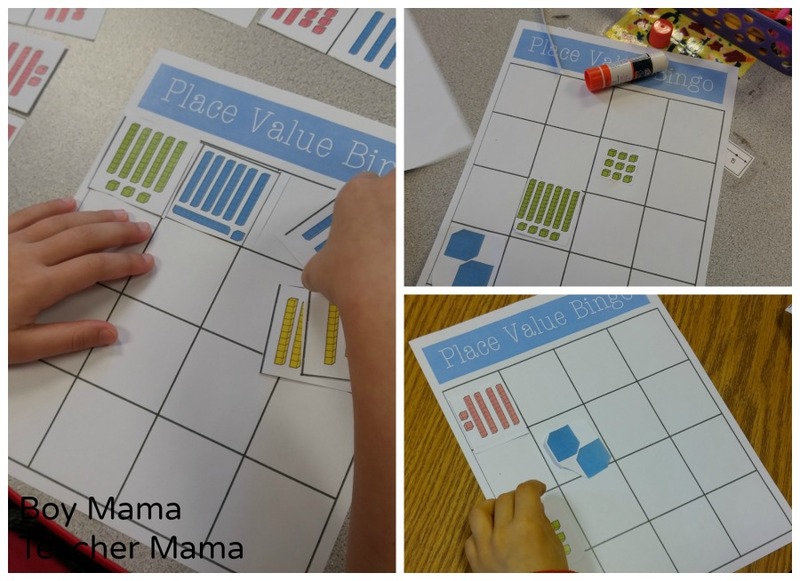 Have students cut out 16 of the 20 place value block pictures. Then have them glue the pieces on their game board. The game is now ready to be played! Play just like any other bingo game. 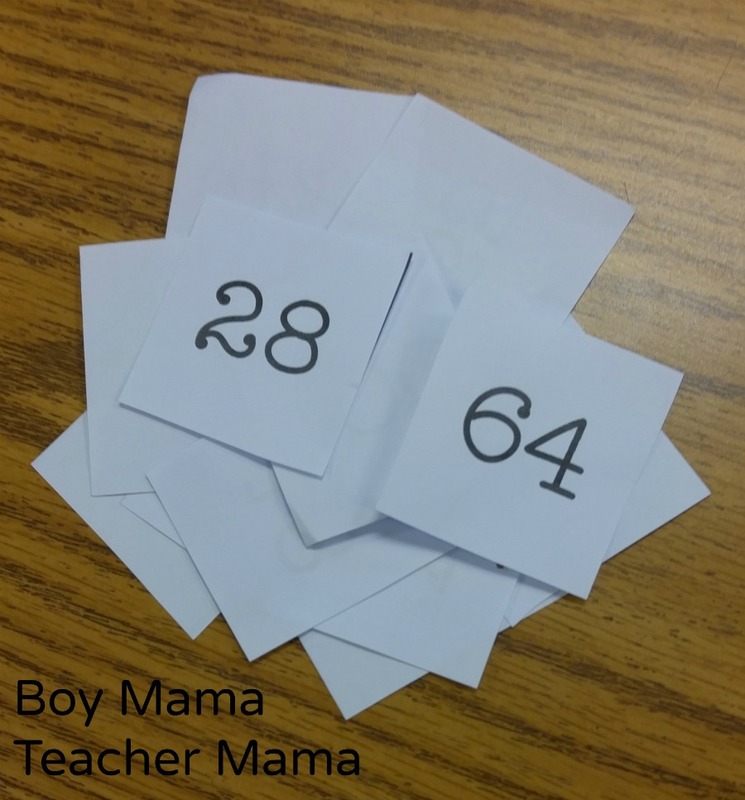 Call out a number and have students cover that number on their board. Four in a row makes bingo! 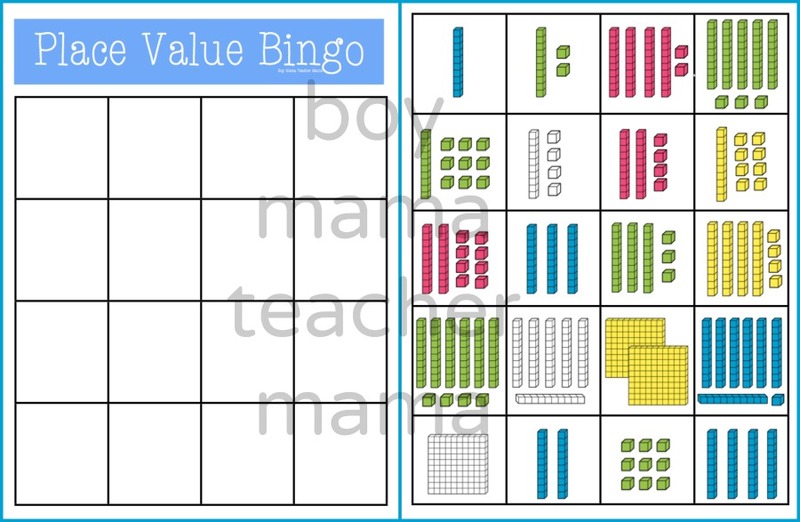 Looking for other Bingo Games?